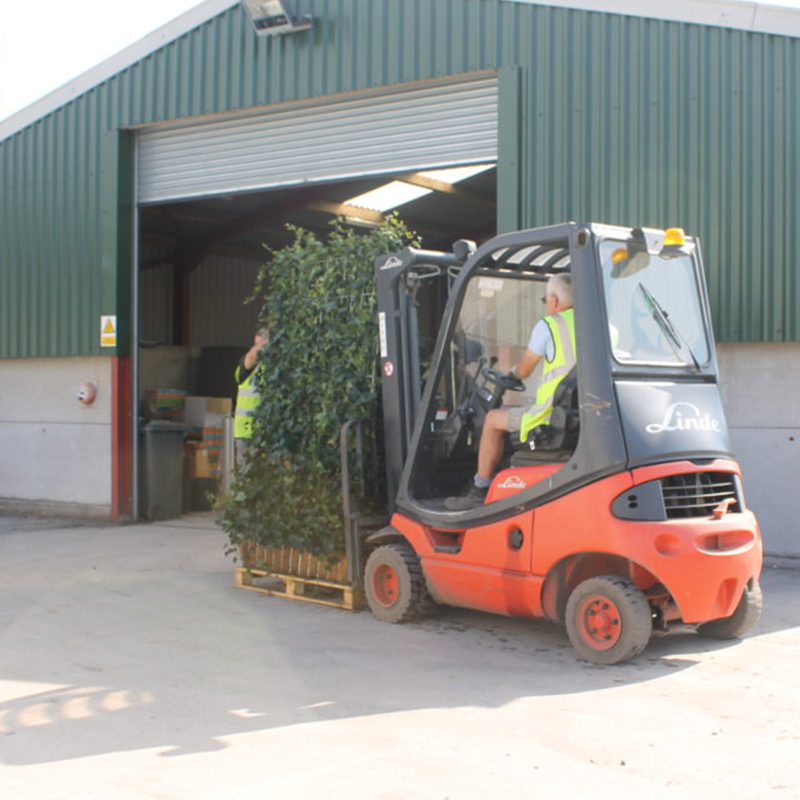 Following the successful relationship between Hedges Direct and Love Your Garden over the last three years, we were asked to supply more plants for another episode in the current series of the popular ITV show. Earlier in the series, we supplied Yew instant hedging to transform a tired family garden into a futuristic, modern space and have since provided four Ivy screens for another garden transformation. The Ivy screens, also known as living fences, are used to cover an unsightly oil tank, providing a more aesthetically pleasing solution than a fence. 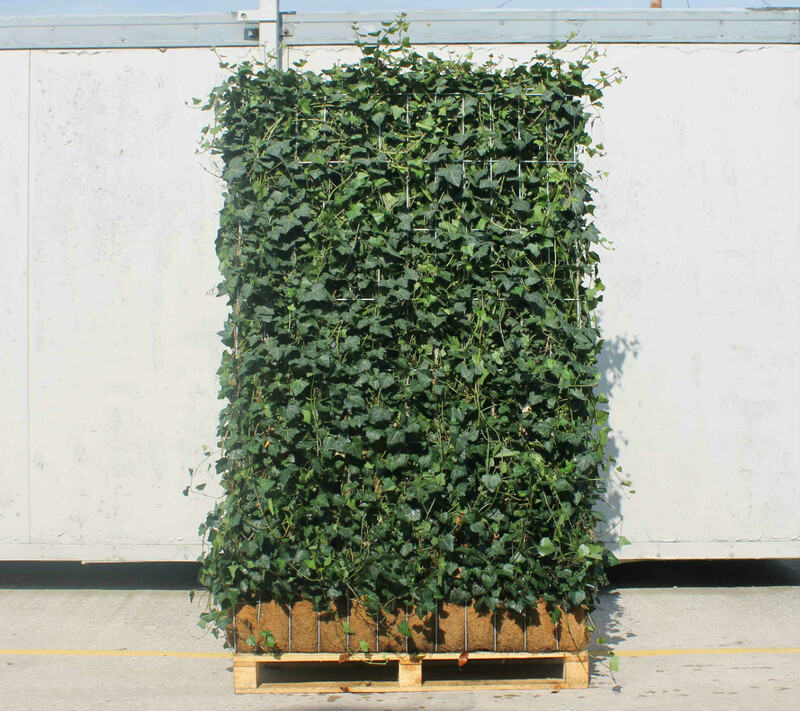 The Ivy screens are made from a non-invasive species of Ivy that has dense foliage giving good coverage. Thirteen Ivy plants, each with five stems, are grown on light-weight galvanised steel frames which are easy to install and provide immediate impact. The many benefits of Ivy screens not only make them a great choice for domestic gardens but also businesses and public spaces too. The narrow screens are ideal for small spaces where a bushier hedge may take up too much room and they make an attractive alternative to fences and walls, providing both security and privacy with added wildlife value. Last month we celebrated the return of Love Your Garden to ITV with a Facebook competition in which three winners each won a Fruit Tree and planting kit. Following the success of this competition, we are now giving away £150 worth of vouchers to three lucky winners so they can recreate the look from their favourite Love Your Garden episodes in their own garden. To be in with the chance of winning, enter our #HDGetTheLook competition here. The winners will be announced on Monday 24th August. Next week Alan and the team will be returning to a garden from last year’s series in which Hedges Direct supplied mixed native instant hedging and Lavender plants to transform a hospice in Luton. Catch the wildlife special on 18th August at the usual time of 8pm. If you’ve missed any episodes from this series, you can catch up on ITV player.